What is the purpose of the Pallet Pull Out Units? Most storage locations tend to be overwhelmed as time goes by with the sheer amount of objects that they have to store. It's because of this that pallet pull out units are the ideal addition to any company that deals with storage of pallets for either the short or long term. The benefits of these units come from their ability to free up floor space while at the same time offering a safe, secure option for the storage of pallets. Pallet pull out units are commonly found in a variety of commercial and industrial applications where storage space is at a premium. 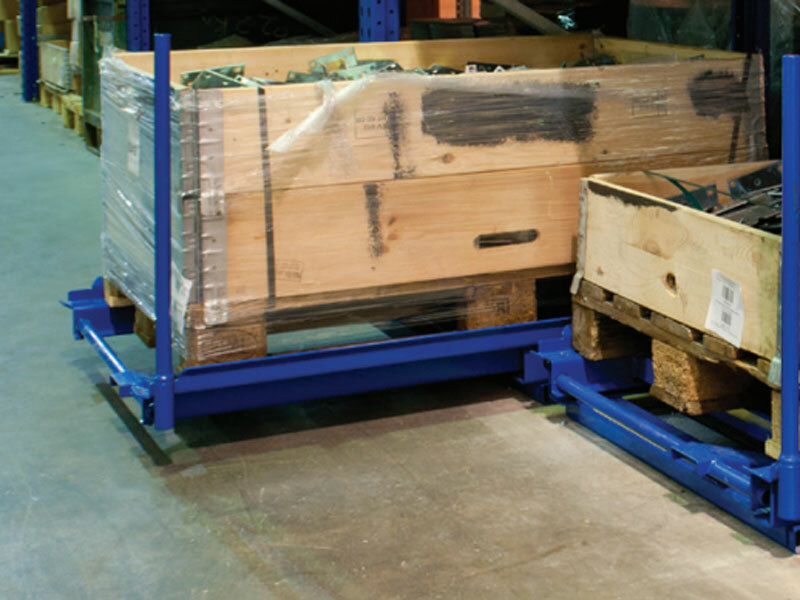 Many larger packing and shipping companies utilize these pallet pull out units in their warehouses as a means of controlling the clutter from incoming jobs. The sheer amount of cargo that passes through these offices means that they need any sort of mechanism that can help them to keep their warehouses packed in an organized manner. These pull out units are also useful in shipping agencies where the temporary storage of goods is of concern. Warehouses and packing companies are the foremost users of the pallet pull out units, but they are by no means the only ones. Companies that deal with short term storage can also utilize these pull out units as a means of keeping storage space organized enough so that objects can be easily found when needed. Because of their ability to be mounted on beams (as long as the beams can take their loading weight) they are also a good fit for multi-level storage such as in wholesale centres, distribution centres and the stock rooms of groceries and department stores. 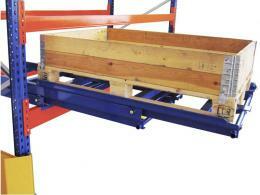 These pallet pull out units come with floor mounting or beam mounting as the case may be. It is advised that before mounting these units on beams that you consult an expert to ensure that the beam will be able to support the pallet and its added weight when loaded. These units can handle up to 1000 kg UDL. It also comes with a built-in catch to ensure that the pallet doesn't move accidentally. The 600mm handle is of ample size to allow a consumer to open and close the pallet's they're looking for relatively easily. 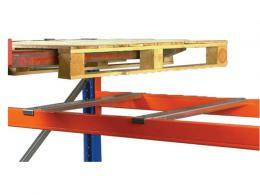 These are built to Euro or Chep pallet standards. Other standard sizes are available upon request.